Embrace your inner villain with the plastic Harry Potter Deathly Hallows Draco Malfoy Wand! 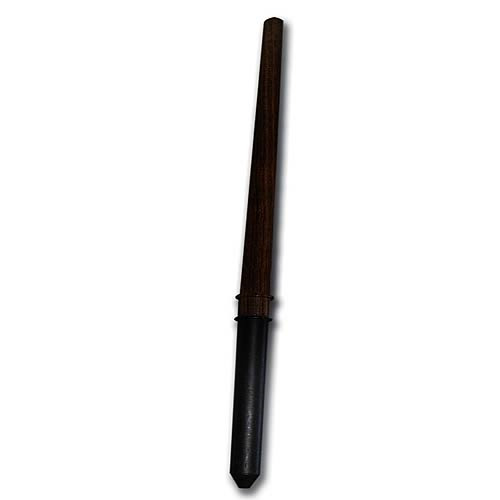 Made to look like Draco's wand from the movie Harry Potter and the Deathly Hallows Part 1, this black and brown wand makes a great gift for the discerning Harry Potter fan looking for a cool costume accessory. Whether you want to make the Draco wand a decorative piece on your desk or an additional accessory to your Halloween costume you're going to love the Deathly Hallows Draco wand! Measures about 13 1/4-inches long.